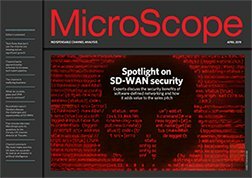 The latest attacks on Sony and Microsoft's gaming networks have put Distributed Denial of Service (DDoS) attacks back under the spotlight. Sony's PlayStation Network was offline for most of Sunday as a result of a cyber-attack and Microsoft's Xbox Live, Blizzard's Battle.net and Grinding Gear Games were among others reporting disruption over the Bank Holiday weekend. The attacks coincided with a bomb scare involving an American Airlines flight carrying a Sony executive. The jet was diverted after a threat was made online that the flight was carrying explosives. This was then repeated by a Twitter account, used to claim responsibility for the online attacks. John Smedley, president of Sony Online Entertainment, had been tweeting efforts to combat a "large scale DDoS" before posting a message that he was about to board the plane. A spokeswoman for Sony said that the FBI was now investigating the diversion. “If you, or more likely your business, is connected to the Internet, you will at some point fall victim to a DDoS attack. And if you are not connected to the Internet, chances are you will not be in business for long as your competitors and customers are all connected. Damned if you do, damned if you don’t,” continued Keanini. Sony's PlayStation Network was taken offline for more than three weeks in 2011 after an attack that compromised its members' personal details, exposing debit and credit card details. However, Sony social media manager Sid Shuman said there is no evidence of the same exposure this time. “Sony and other game networks have to work harder than most to remain secure as they are incredibly attractive targets,” Keanini added. “Not only are they high profile with any disruption making the news, but given all the in-game commerce, millions of credit cards and personal information is kept up to date and can be monetized by these cybercriminals. “Sony better get it together before Sept 9th when at midnight around the world, Bungie’s new title Destiny will be released and the popularity of this game alone will stress the PSN resources,” warned Teanini. “You can count on me being there at exactly midnight when my copy will go online." Blizzard's Diablo III also faced disruption after Battle.net was attacked and Microsoft’s Xbox Live support site continues to report problems with a statement that the networks will not undergo the regularly scheduled maintenance, which was planned for Monday, August 25. Activision Blizzard's gaming service Battle.net, which also supports World of Warcraft and Starcraft has posted the message "Battle.net game services have recently been subject to DDoS attacks.”Other multi-player games including Path of Exile, Eve Online, League of Legends, RuneScape and Guild Wars 2 have also reported attacks over the weekend.